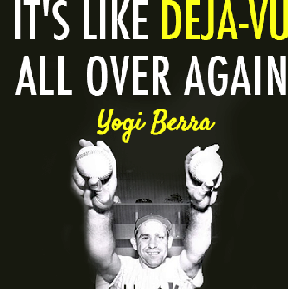 I guess I’m channeling Yogi Berra again. It happens, especially when I read the news. For the past week or so, there has been a lot of media speculation that toymaker Hasbro was interested in buying movie studio DreamWorks Animation. The appeal for Hasbro would be exclusive rights to the characters and action figures inspired by characters in DreamWorks films; the appeal for DreamWorks would be a fat premium for its stock. But yesterday’s New York Times brought word that the deal was off. Apparently Disney, whose films have inspired action figures that comprise 30% of Hasbro’s revenues, didn’t think the DreamWorks deal was such a great idea. A well-placed call and the deal flew off the table. This development took me straight back to a story I recounted in An Honest Day’s Work – still a bargain at $3.99 on Amazon, by the way. Not only does the story feature the same dramatis personae – Disney and DreamWorks – it also tells of the most outrageous thing a client has ever said, in my opinion. Once in a while (not often, thankfully), a client will throw the agency under the bus. When I was at Ketchum, the agency served the Entertainment, Media and Communications (EMC) group of Price Waterhouse. One day, the woman who was leading the EMC account for the agency came to my office. She looked stricken. I asked what was wrong and she told me an outrageous tale. The head of the EMC group, a Price Waterhouse partner, had scored a big win— DreamWorks, the big movie studio. He directed his Ketchum team to put together a press release, and at his direction, the agency sent it out over the news wires. That precipitated a call from someone at the upper reaches of Disney, another rather enormous Price Waterhouse client in the EMC space. This person was not pleased that Price Waterhouse had taken an assignment from the competitor in the first place and, even worse, that the firm had made a big deal about it in the media. The partner back-pedaled furiously and told the client that it was all a surprise to him.